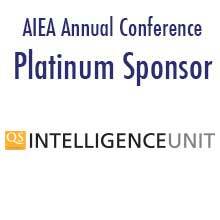 "AIEA conferences are known for their scope, depth, intimacy, and full participation of senior leaders in the field. The organization has made conscious attempts to integrate leaders from around the world, and in so doing has fostered important dialogues that both complement and transcend national and regional interests in international education." "Premier conference in the profession. Best source for information and networking." "Very relevant to my work, a good way to learn about new issues and practices, and a fantastic networking opportunity." "I like the smaller size and the concentration of international educational leaders." "By far the most useful conference I can attend in terms of networking and professional development." "Best international education conference I've ever attended." "The program was outstanding. The content was deep and relevant."